Americans aren't eating Wheaties...or other cereals. Cereal sales have gotten soaked in recent years. Apparently Americans are not eating their Wheaties. 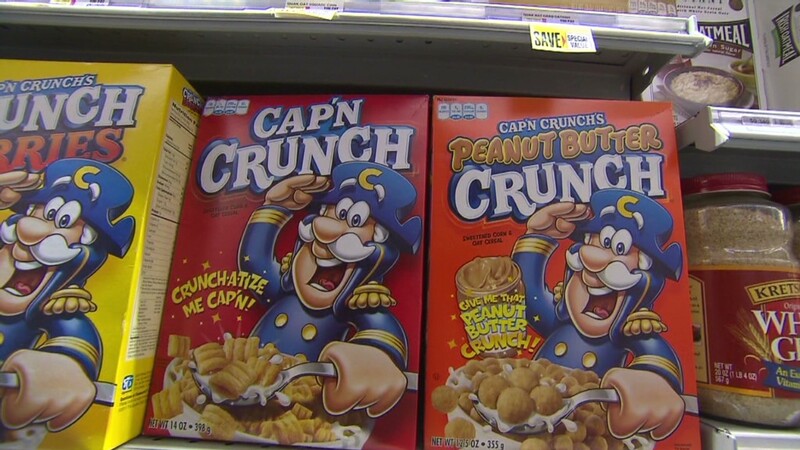 Cereal sales at the some of the nation's largest food manufacturers have gone stale lately as consumers' appetites shift toward healthier breakfast options. In its quarterly earnings presentation Wednesday, General Mills (GIS) reported that sales for its U.S. cereal business, which is made up of such brands as Cheerios, Lucky Charms, and Wheaties, dropped 9% from a year ago. And Kellogg (K), maker of iconic names include Frosted Flakes, Rice Krispies, and Fruit Loops, called the cereal segment in developed markets "challenging" in its most recent earnings release. Post Holdings (POST), the maker of Honey Bunches of Oats and Raisin Bran, among other labels, also experienced a cereal sales decline last quarter. Investors have taken notice. Kellogg is one of the stocks with the most "sell" ratings from Wall Street analysts. Kellogg and Generals Mills shares are down about 7% in the last three months while Post has tanked 30% over that period. To be sure, the watered cereal down results aren't necessarily a new trend. According to market research firm Mintel, cold cereal sales in the U.S. have fallen 6% in the past two years. People are shifting to protein rich items like yogurt and breakfast sandwiches that tend to keep people satisfied longer, Mintel found. Americans are still eating a lot of breakfast, according to Justin Massa, CEO of Food Genius, a Chicago-based firm that analyzes food trends for the restaurant industry. He said that in the last nine months, there's been a 5% increase in the number of restaurant locations offering breakfast, which he describes as "pretty dramatic" considering that restaurants traditionally don't change too quickly. "More and more of us are eating breakfast every day, we're just not eating cereal," he said. 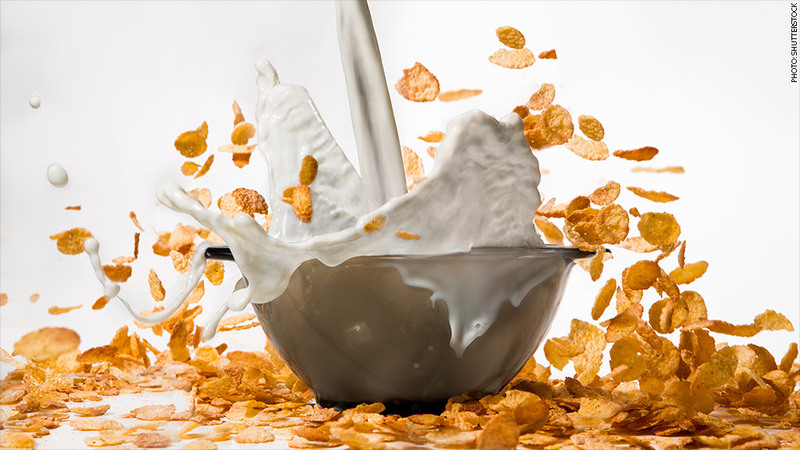 While there's been some hope in the food industry that cereal can make a comeback by offering more healthier, fiber-dense breakfast options, Massa is skeptical that cereal can return to its golden years. "It's an uphill battle, because at the end of the day it's still a starchy breakfast," he asserted. Still, there are some positive signs in the cereal business. Emerging market sales, for instance, have grown notably in recent years, especially in the Asia-Pacific region, according to a report earlier this year from Transparency Market Research. Better brand visibility, an increase in the number of convenience stores, and rising incomes are all benefiting cereal makers there. And a funny thing is happening in the cereal industry. Even as many cereal brands experience a sugar crash, Cinnamon Toast Crunch sales jumped 7% last quarter after General Mills boosted the amount of cinnamon it uses in the product. "There's this odd dichotomy of people being very healthy at times, but then very indulgent at others," Massa claimed. "People will go into a restaurant and order a salad and a milkshake." There's also an element of sentimentality when it comes to breakfast cereal, which many Americans consider a staple of their childhoods. Cinnamon Toast Crunch is a "pretty delicious, decadent breakfast treat," Massa said. "For me it's that and Cookie Crunch."